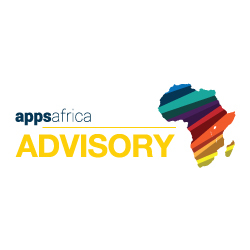 Jeremy is Principle Advisor,responsible for Appsafrica Advisory’s South African operations and has over 20 years experience of doing business in Africa. Having started his career in Zimbabwe with Castrol Ltd as General Manager, Jeremy then set-up and ran a successful African import business in the UK for a number of years. He returned to Africa as CEO to lead an innovative mobile messaging startup called ForgetMeNot Africa for Lonrho PLC, negotiating and launching services with mobile network operators across Africa. Jeremy then moved to mobile tech startup biNu setting up their African operations in Cape Town, managing an extensive Pan-African business and international teams. Andrew is Director and Founder of Appsafrica.com and has set-up and led highly successful global marketing, commercial and business management functions for a variety of companies and industries in Africa, UK, Ireland and India. He has extensive experience driving technology and software ventures in Africa, having commercialised and deployed mobile messaging, software, mobile financial services and VAS services in Africa. Andrew is passionate about Africa having extensively traveled and rolled out services across multiple territories in Africa providing a wealth of experience and extensive network across Africa. Ethel Cofie is CEO and Founder of EDEL and Founder of Women in Tech Africa, Africa’s largest women in tech group with members in over 30 Africa countries. She is Mandela Fellow for President Obama’s Young African Leaders initiative (YALI) and a High caliber IT professional with a wealth of technical and commercial skills acquired across a wide range of demanding roles and Over 12 years experience working in the UK ,Ghana, Nigeria and Sierra Leone on projects for organizations like Bill and Melinda Gates Mobile Technology for Health project, the Ford Foundation’s Election Monitoring project for Nigeria and as Head of Commercial Solutions for Vodafone conceptualizing, executing and working with teams to align Corporate strategy to IT strategy and to develop and manage creative technology solutions. She also sits on the boards of numerous companies in Ghana, Nigeria and South Africa. Born in the Sudan and brought up in the UK, Naz’s experience spans the globe. He started his career with Airtours PLC in Spain and then moved to Jamaica, where he managed the company’s assets on the island for two years. Naz then joined Holiday Autos in the UK, leading the launch of the business in France, Holland, Belgium, Sweden, Germany, the USA and Australia. He was instrumental in the development of the General Sales Agent network, which also provided him valuable exposure to South Africa, South America, Asia, the Middle East and Russia. With many years of management, business development, and entrepreneurial experience he is perfectly placed to develop early stage businesses in Africa.